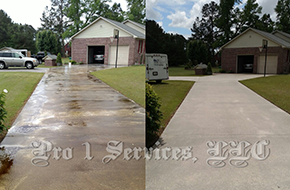 Pro 1 Services LLC is the name to know in Whiteville when you want a superior pressure washing clean. We clean the dirt you didn't know you had. 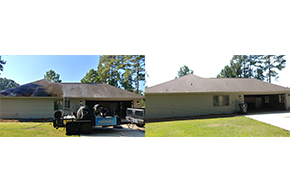 Pro 1 Services LLC is your source in the greater Whiteville, NC area for superior pressure washing services that can help restore the exterior of your property to a like-new look. Our expert cleaners have the experience to provide precision care for your roof, concrete, siding, or other surfaces for prices the competition cannot beat. We at Pro 1 Services LLC are dedicated to your full satisfaction, both with the prices we charge and the services we render. To accomplish this, we have teamed up with some of the most reliable professionals in the field who bring a passion for clean to every job. We share a penchant for getting at every detail and for leaving behind a clean so spectacular that some consider us a bit obsessive. When you want to renew the look of your commercial or residential exterior, we know you want a contractor you can trust to do the job thoroughly, protecting your property during the process. Call your friends and neighbors to see whom they would recommend. We at Pro 1 Services LLC have already gained a solid reputation for providing top level services that will more than meet your needs. When you contact us, we will examine the area needing a good washing and provide you with a complete estimate that is honest and above board. We will schedule our work to suit your personal schedule.